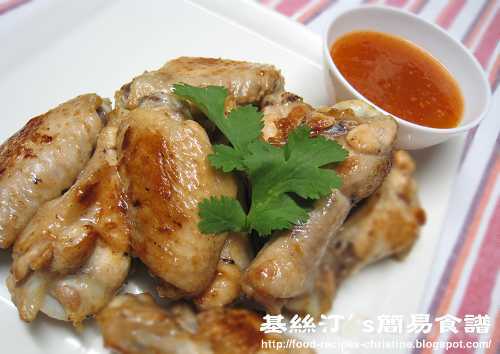 Many Chinese families, just like us, love eating chicken wings. There are hundreds of thousands of cooking chicken wings methods. 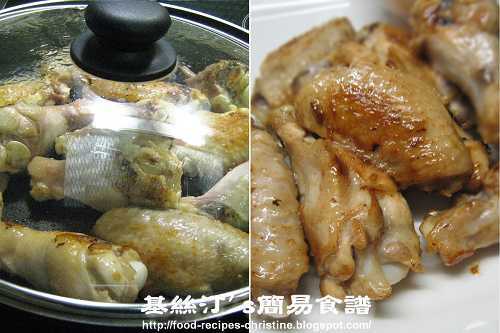 No matter how we cook the chicken wings, the dish would be very delicious. And I also have tried a variety of cooking methods to please my family, especially my daughter. This time I used Thai sweet and chili sauce. The sweet, sour and spicy flavors blend perfectly together to make a unique sauce that is so great for dipping the pan-fried chicken wings. Truly, it’s very delicious. 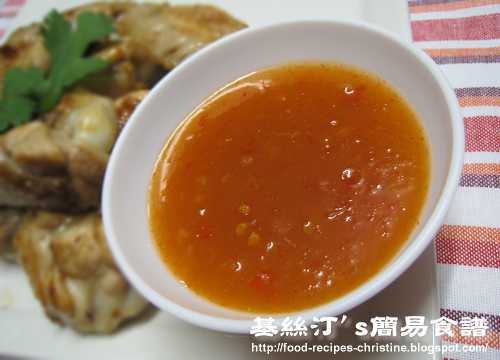 If you use fried chicken breast, this Thai sauce will also match wonderfully. Cut chicken wings into 3 pieces. Put into boiling water to blanch for 3 minutes in order to get rid of any blood. Drain and wipe dry, marinate chicken wings over 1 hour. Heat a skillet over high heat. Don’t need to add any oil as the chicken wings have got some fat that would melt over heat. When both sides are brown, slower the heat to medium. Cover with a lid to cook for about 10 minutes, or until done. Dish up and drain on paper towel. Serve on a plate. Pour sweet and spicy sauce ingredients into a small sauce pan. Bring to the boil, then add thickening. When it boils again, turn off the heat. Serve in a small bowl for dipping the chicken wings.